Per an official Medium blog post, Compound, an up and coming cryptocurrency platform and investment platform, has finally launched after multiple months in development. For those who are unaware, San Francisco-based Compound is a startup that intends to revolutionize how money moves in crypto by creating liquid cryptocurrency markets through algorithms, which will initially allow users to borrow and short-sell Ethereum-based tokens. As a result of the firm’s unique vision and sky-high ambitions, it quickly gathered over $8 million worth of financial support from juggernauts in this budding industry, including Coinbase, Andreessen Horowitz’s a16z crypto fund, Polychain Capital and Bain Capital Ventures, which are all based in California interestingly enough. Compound’s initial goal was to launch its platform in October, but as we can now see, the startup is a tad ahead of its schedule, launching on September 27, 2018, to the surprise of some investors. 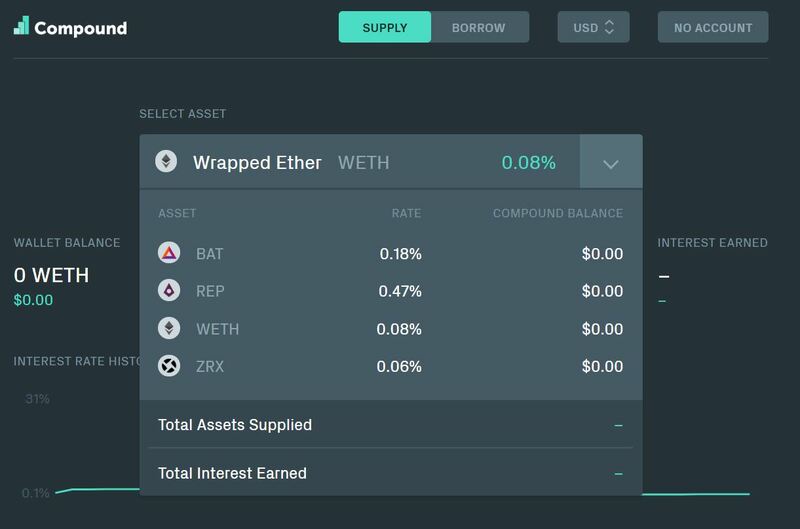 Now, users will be able to short sell four cryptocurrencies, which include Ethereum (ETH), 0x (ZRX), Basic Attention Token (BAT) and Augur (REP) via its easy-to-use, minimalistic website (seen below) that utilizes Web3 and MetaMask (or similar DApp browsers — Coinbase Wallet) to complete functions and operations. So you may be asking, what types of returns can I expect by lending my cryptocurrency? Well, as pointed out by the aforementioned technology publication, the interest rate can vary, as it is currently based on an algorithm that weighs demand and supply. While Compound intends to implement a governance system in the future, the APR for lending on the platform currently ranges from 5 to 45 percent, which is better than letting your cryptocurrencies “gather dust” in your wallet of choice. While the concept of shorting cryptocurrencies may sound bizarre and risky, the startup’s platform has reportedly received a security audit from Trail Of Bits, who confirmed that the platform is ready to go live at the time. Moreover, the firm also received support from over 26 hedge funds that will use the platform, which includes Digital Asset Fund, AlphaLab, Wyre, and Ikigai, which is set to launch in the next few days as reported by Ethereum World News previously. 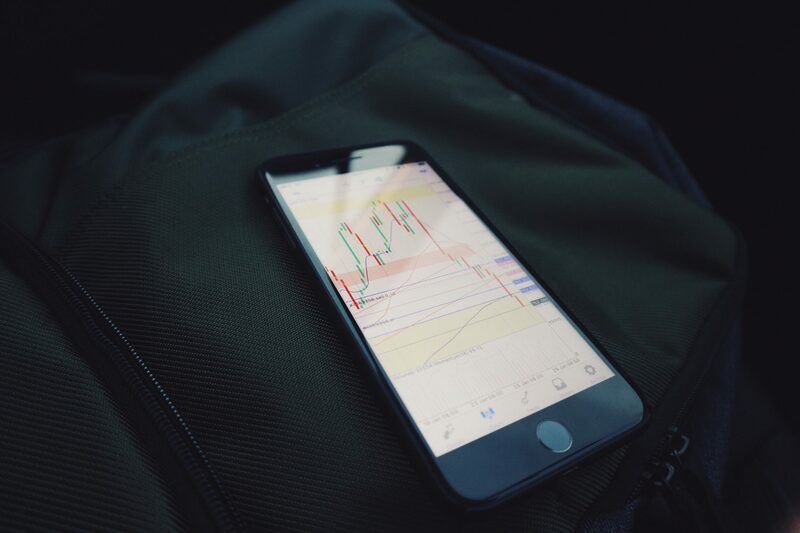 Following the successful release of the short-selling and lending product, Compound intends to eventually build and launch its own in-house stablecoin in a bid to get financial institutions to use its protocol, which will increase the liquidity levels, therefore bettering the customer experience overall. Blockchain assets are novel and exciting, but they lack the most fundamental financial infrastructure — efficient interest rates. Over time, hundreds of trillions of dollars of assets will be tokenized, but the institutions that deploy them will require the usefulness of traditional financial markets — today’s launch is just the first step.